My daughter's brownie girl scout troop celebrated World Thinking Day by having every girl bring in a sample of a food or drink from their choice of country. 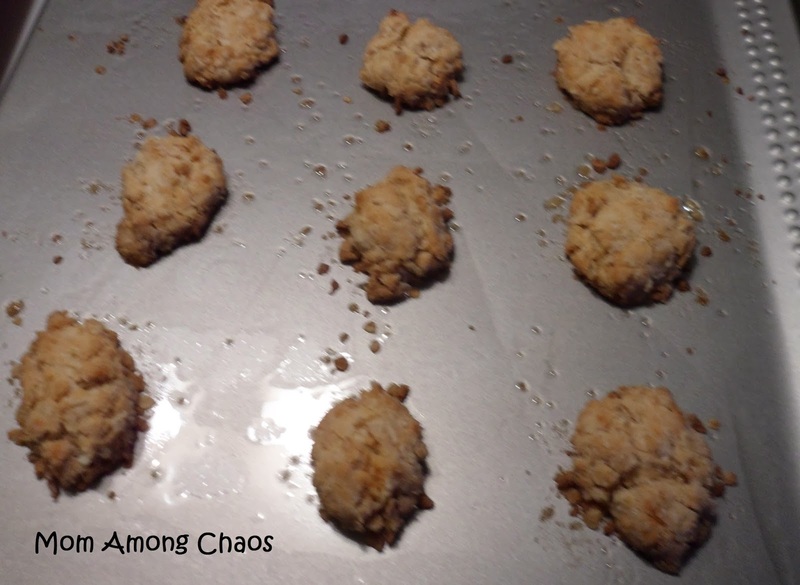 My daughter requested I make these sweet biscuits from Australia. It was nice that I had all the ingredients on hand and it only took about 30 minutes to finish them. The girls and parents liked them so much that they even asked me to email them the recipe. ANZAC stands for Australian and New Zealand Army Corps. During my research I read about how these biscuits were sent to soldiers during WWI because they don't spoil easily. Heat the oven to 350F. Line or grease 2 baking trays. In a small saucepan melt the butter over a medium heat. (Or microwave until melted.) Add the honey, baking soda, & water to the butter and stir well. Set aside. 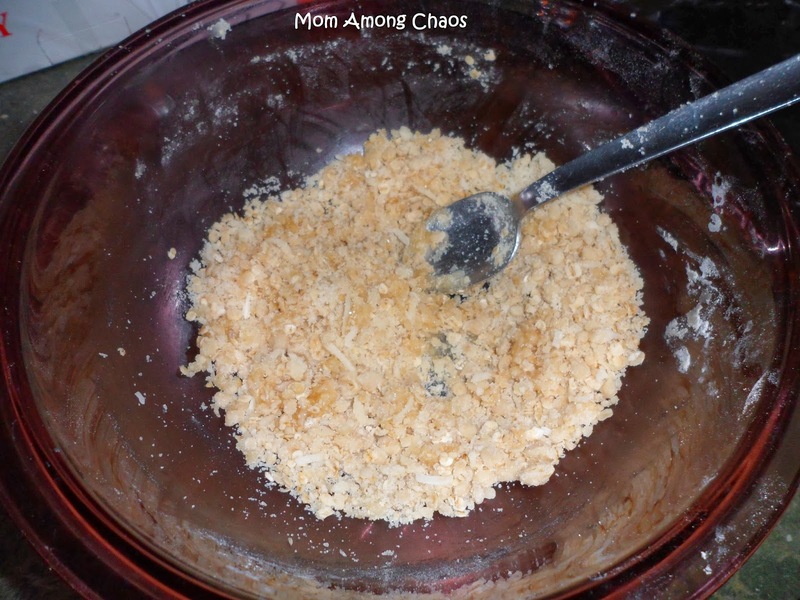 Mix together the flour, oats, sugar, coconut, and salt in a mixing bowl. 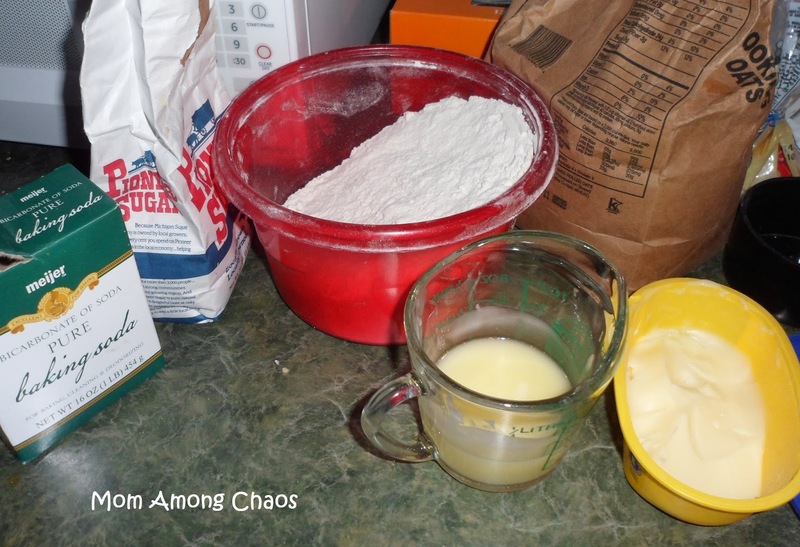 Add the melted butter mixture to the dry ingredients and stir to combine. The finished dough will be crumbly. Roll about 1 tablespoon of dough into small balls and flatten between the palms of your hands. Place dough on baking tray. *Disclosure: This recipe was adapted from other recipes, including the website here.